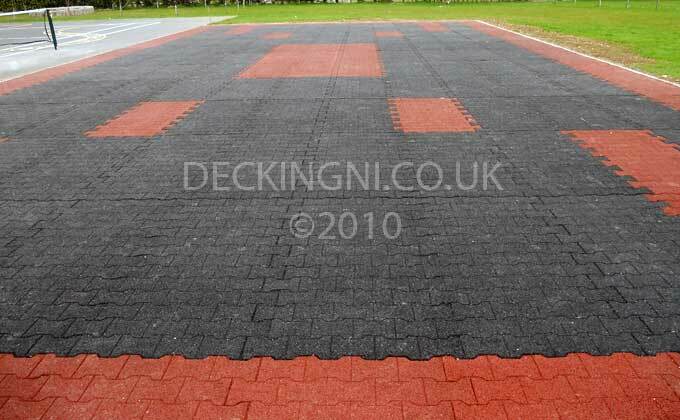 Our large 2mx1m commercial Interlocking playground mats are anti-slip and free draining. The interlocking playground mats provide an excellent alternative to expensive sports surfaces. Our interlocking playground mats have an excellent slip resistance value, shock absorption dynamic and are much safer than tarmac. The standard depth of 40mm has a certified impact safety rating of 0.7m.They can prevent slip related accidents occurring in the first place and in the event of a fall, the rubber interlocking playground mat system will cushion the impact, thereby protecting the person from serious injury. The interlocking playground mat system is porous, It ensures excellent drainage by allowing rain water to pass straight through the sports safety surface system. The large 2mx1m Rubber interlocking playground mats are simply laid on a prepared compacted stone base (804 or class 3 aggregate). They are connected in a staggered fashion to each adjacent playground mat thereby locking the entire sports safety surface together. 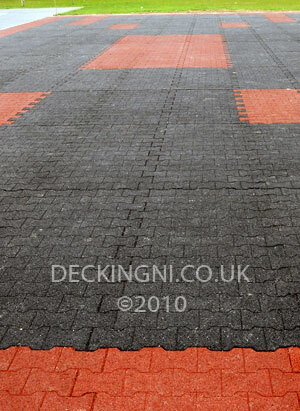 The interlocking playground mats can be laid over a compacted stone base, concrete, tarmac or brick paving. 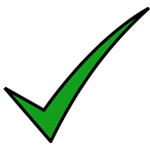 Very cost effective All weather Sports Surface, Excellent anti slip rating, Permeable - water drains through them, Very attractive product, High safety rating over concrete, Very Durable / hardwearing, 0.7m Critical Fall Height. The Interlocking playground mats will last up to 20 years, Create designs using several colours, Colours - Red, Black, Green, Grey.